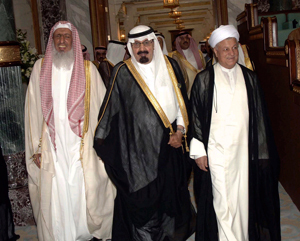 All Christian churches on the Arabian Peninsula should be destroyed, said the Grand Mufti of Saudi Arabia, Sheikh Abdul Aziz bin Abdullah, on March 12, in response to a query from Kuwait’s Society of the Revival of Islamic Heritage. The Kuwaiti delegation had asked for a clarification from the point of view of Islamic law on a proposal to ban the construction of new churches in Kuwait. The Grand Mufti, the highest official of religious law in Saudi Arabia—where no churches have been built despite the presence of almost a million Christians—responded by observing that Mohammed believed the Arabic Peninsula must only have one religion. His conclusion was that all churches in the territory must be destroyed. The response went beyond the Kuwaiti proposal, which bans the building of new non-Islamic places of worship. European Catholic bishops denounced the statement as a “denial” of basic human rights for millions of foreign workers in the Persian Gulf. This article also appeared in print, under the headline "Destroy All Churches?," in the April 9, 2012 issue.